With news breaking over the weekend that Strictly Come Dancing favourite Will Young had left the show due to Anxiety and stress, it’s becoming apparent that just like everyday people, celebrities and public figures are also subject to mental health issues. Established event venue 20 Bedford Way in London has spoken about the demands event performers can experience in their work lives. It is generally expected that being in the event or show business industry comes with stress and indeed, a lot of professionals perform better when under pressure, however, choosing to recognise when stress becomes something bigger is the key. 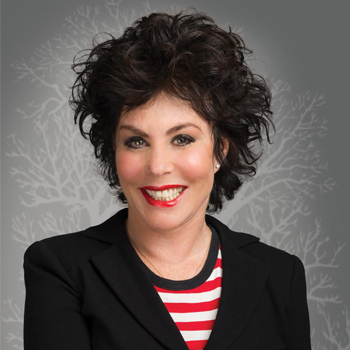 Ruby Wax, actress, mental health campaigner, lecturer, and author understands this more than most. Aside from her television career, Ruby has studied Psychotherapy and gained her Master’s degree in Mindfulness-based Cognitive Behavioural Therapy from Oxford University. She now runs management workshops for business leaders enabling them to find a deeper and more direct level of communication with their clients and colleagues. Her workshops combine humour with scientific and theoretical learning and normally involve practical exercises. During a typical workshop, she might include clips from her interviews with Madonna, Imelda Marcos and Hugh Heffner. Ruby demonstrates moment by moment how she gets under the skin of these individuals, relating to them on a human level, showing both samples of her many successes, and one or two of her ‘car crashes’! To book Ruby for your event, call Prime Performers on 020 7251 8222, complete our online enquiry form or email us at info@primeperformers.co.uk.